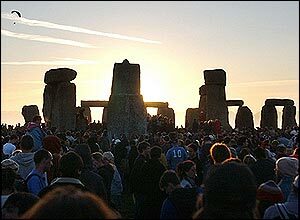 Up to 21,000 revellers gathered for all-night festivities at Stonehenge to witness the Summer Solstice. There were massive cheers as the sun rose at 0458 BST Tuesday. 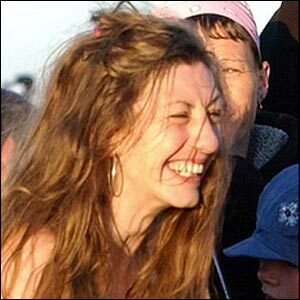 English Heritage, which runs the monument, says the night passed peacefully. 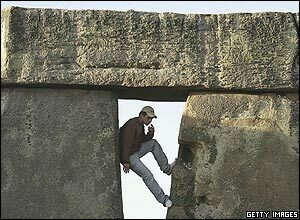 In 2000 Stonehenge was re-opened for the solstice after the infamous Battle of Beanfield 15 years earlier. 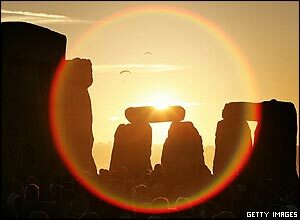 Druids - a pagan order dating back to Celtic Britain - believe the solstice signifies the 'oak king' being overcome by the 'holly king', who rules the second half of the year. The Wiltshire stone circle is thought to date between 3000 BC and 1600 BC. 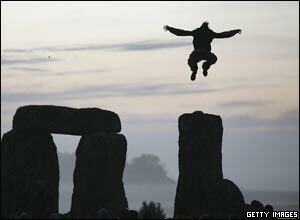 Druids believe it was a spiritual centre more than 2,000 years ago. 5,000 years after first attracting visitors, Stonehenge is still a massive draw and a potent pagan symbol. 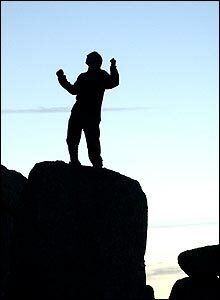 Some revellers threw off their clothes as the sun rose above the 'heel' stone. The World Heritage site consists of Bluestones from the Prescelli Mountains, south Wales - 245 miles (380kms) away. Why it was built is not known - despite many theories.